In an unprecedented move to pass along fuel cost savings, ATP issued cash rebates up to $2,500 to Airline Career Pilot Program students enrolled at mid-2008 pricing and dropped prices for all students starting in 2009. Pilots looking to advance their certification will pay less as flight training prices decline with the cost of fuel. Over the summer of 2008, a gallon of AVGAS cost almost $6.00 per gallon. Now that fuel costs have dropped just below $4.50 per gallon, ATP is announcing lower pricing for the Airline Career Pilot Program and a fuel cost rebate already issued to enrolled students. AVGAS prices generally lag behind auto gas prices because of the slower inventory turnover. Now, markets are finally reflecting lower oil prices in AVGAS. 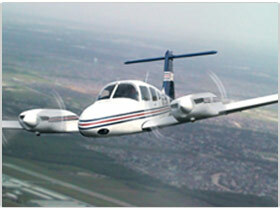 In 1984 ATP pioneered cost-efficient, accelerated multi-engine flight training with an emphasis on pilot career development. Today, ATP’s Airline Training Programs prepare graduates for airline pilot and corporate pilot careers with nationwide flight experience in the largest multi-engine training fleet. Advanced jet training transitions these pilots from light twins to modern regional jets in CRJ-200 flight training devices. With thousands of graduates who have completed airline training on time and on budget, airlines come to ATP first to meet their demand for pilots. ATP flies over 12,000 hours to provide more than 450 FAA pilot certifications each month at 20 locations nationwide.